Big game fishing in Britain...really? The author recently helped launch a campaign for a live-release recreational fishery in the UK based on giant Atlantic bluefin tuna. I QUICKLY discovered that being ribbed rotten for being Pom was an occupational hazard for any Brit that chooses to spend time living in Australia. The rivalry over our respective cricket teams ebbs and flows - you guys are currently a little quiet following ‘sandpapergate’ and the subsequent collapse in form - but the one area Aussies do enjoy teasing us Brits about is the quality of our fishing back in the Mother Country. 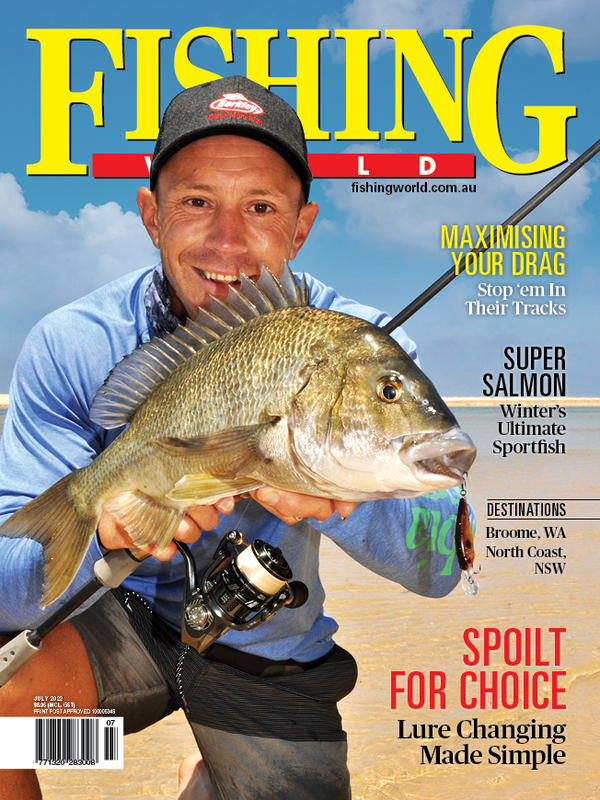 We might have a few rivers left with some half decent salmon, grayling and trout fishing that you’d like but our marine fishery really is a poor relation when it comes to the sport to be found around the Australian coastline. We have no marlin, kingfish, GTs, snapper or barramundi and most of our waters are hopelessly overfished, not just by our own commercial fisherman but by those from France, Spain, Holland and Denmark. Until recently the best we had on offer was our sea bass - a cool looking fish but which seldom exceeds ten pounds, or trips offshore chasing blue sharks. These predators grow to a reasonable size - a new record was recently claimed at 256 pounds - but they are not particularly renowned for their sporting prowess. Apart from bass and blue sharks, which are by no means widespread, the quality of our sea fishing is distinctly average these days. However, all this may be about to change and I can see a time when Aussies may consider traveling to our side of the planet to catch the largest species of bluefin tuna to be found anywhere in the world. This is because, for the last three years, these iconic game fish have been turning up on the western shores of the British Isles in increasing numbers in late summer and autumn. Since 2016 giant Atlantic bluefin tuna, including fish well over 700 pounds, have been spotted and caught in Cornwall, in the Celtic Deeps off West Wales, in North West Ireland and throughout the Western Isles of Scotland. To this end l was outside the House of Commons last week helping to launch our campaign for a live-release recreational fishery that could help many deprived coastal communities in the UK to reinvent themselves as world-class bluefin tuna angling destinations attracting overseas visitors and supporting much needed jobs and businesses in the process. We reminded our politicians that a substantial bluefin tuna live release fishery already exists in Canada, where studies show that its economic value of is six times per tonne of a traditional commercial fishery. See our campaign video HERE. Until the 1950s the UK had a thriving and high-value recreational bluefin tuna fishery. Until the 1950s the UK had a thriving and high-value recreational bluefin tuna fishery operating mainly out of the East coast town of Scarborough under the auspices of the British Tunny Club. Commercial overfishing of both herring and tuna saw stocks collapse forcing big game anglers to spend a small fortune pursuing these magnificent fish overseas rather than supporting the economy back in Britain. Globally bluefin stocks took a nosedive some 20 years ago prompting the International Commission for the Conservation of Atlantic tuna (ICCAT) to finally begin a stock recovery programme in 2007 which has seen numbers recover sharply from the previously dangerously low levels. ICCAT is increasing the global quota from a low point of 12,000 tonnes to 38,350 by 2020. The European Union is a member of ICCAT and has 16,000 tonne quota for its member states – all but 1-2 per cent of which is allocated to commercial interests - predominantly in Spain, Italy and France. Sadly, the UK, in common with Ireland, Denmark and Sweden, has no share of this EU quota and is therefore unable to fish for them either commercially or recreationally. But of course, anglers being anglers are always going to go fishing and can’t determine which species will take a lure or livebait. And so plenty of fish up to 320 kg have been hooked ‘accidentally’, and released, by those fishing for sharks. Although personally I’m no fan of Brexit it is the case that once Britain leaves the EU the UK government would be free to apply to ICCAT for part of the ‘reserve’ quota held for new ‘artisanal’ fishery opportunities. As well as the huge economic and employment impacts this new UK fishery could, contribute significantly to existing science based research programme aimed at increasing our knowledge of this iconic and highly migratory game fish. That said, it’s not going to be easy to persuade our ministers to let us deliberately target a fish that was until quite recently on the critical list and which has only just reappeared in our waters. 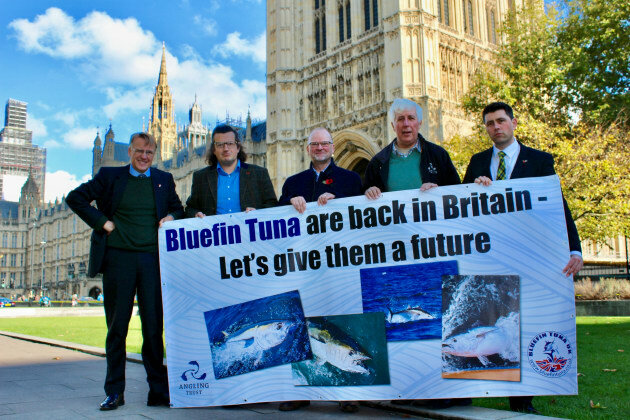 Working with the campaign group "Bluefin Tuna UK" we are proposing the careful introduction of a licensed fishery for recreational anglers which would control the number of vessels deliberately targeting tuna along with a mandatory reporting and monitoring system. Controls on the tackle would help ensure the best fish welfare conditions in order to limit mortality, although this remains remarkably low at less than 5 per cent. It’s not as if we are asking for anything revolutionary as there are already tagging programmes, supported by WWF no less, taking place across Europe using recreational angling to gather much needed scientific data to help understand the stock better. The authorised involvement of committed and conservation minded anglers in the fishery would not only add significantly to our knowledge of these tremendous fish but would guard against moves to reinstate unsustainable commercial harvesting and the inevitable illegal fishing that would occur if no one was looking out for the stocks. So there’s a way to go yet but perhaps one day we might hold the ‘Tuna Ashes’ with teams from Australia and Britain competing to tag and release the largest Bluefin!